For six years in business, I’ve launched three online stores, and overseen and consulted 12 online and offline projects. Those were startups, small online stores, and large businesses — successful and not so successful. One of the startups made it to the top five online stores of that niche and reached $1,000,000 GMV. However, some other businesses were forced to close their doors after a few months. I’ll try to explain the reasons for failure, both my personal ones and those of the people who I worked with. Psychological hardships are the most common catalyst of failure. At the beginning, it’s the fear of losing investments. Many leave the field without even trying. The fear is often created by people who keep telling you not to get engaged in the battle. The message works like subliminal advertising and becomes a deterrent. The main source of fear among beginning entrepreneurs is the pressure coming from people around them who keep telling not to get engaged in the battle. Then comes the burnout. Doing business is followed by fatigue from the routine and a loss of interest in your project. You may feel squeezed out by the burden of responsibility on a daily basis. Exhaustion can kill businesses of all sizes. Psychological hardships lead to physical extenuation, and it becomes hard to keep up with work duties. Development and growth are out of the question. Choose a niche that excites you to the core. My experience proves that it won’t happen without a sparkle. Your idea must initiate you and push you to action. You shouldn’t open a perfume store if the only reason is growing demand, for example. If you are not excited by the idea, your business will fade after some time. However, if you are familiar with enfleurage and maceration, you are keen on the latest fashion news, and names like François Coty and Ernest Beaux make you tremble with joy, a perfume store is what you need. A business of passion will spark the light at the beginning and keep your enthusiasm alive during hard times. Steve Jobs, Coco Chanel, and Mark Zuckerberg are great examples. Keeping the store up and running requires skills in different fields, or at least the willingness to learn them by digesting a lot of new information. It’s risky to create a store on the first platform you came across on the web, without comparing and understanding how it works. Leave that out, and you won’t be able to react to the inquiries of your potential customers correctly and turn them into sales. Ignorance of the tools for your store promotion might end up in a lack of traffic and (hence) fewer orders. Even if you have a team that is responsible for a part of your business processes, you need to understand their job at least by 30%. That is sufficient for controlling the quality. Use the knowledge of professionals by hiring them; don’t save money by paying them a competitive wage. Hiring your staff is a crucial moment, especially when your business grows big and you can’t control every process anymore. HR specialists divide employees into different types, but in my opinion, the most important feature of a potential team member is total responsibility. Responsibility is the most common word in CVs, but in fact, a lot of people don’t have the slightest idea of what it is. Responsibility comes out in details, so it takes time to detect a truly responsible employee. Responsibility is the key feature of a good employee. A lot of people write it in their CVs, but in fact, few appear to be responsible. The employees in key positions should be as passionate about the idea as the owner. They must carry out their tasks professionally, not create difficulties for the leader. If you want to get a professional in your team, don’t be stingy. The salary of such employees is higher than the average on the market, but it’s worth it. A professional earns more money for the company than their salary. Do you still think that no one can do your job better than you? Do you find it difficult to trust anyone and try to control every step of your employees? Your resources are limited, and so is the time of 24 hours in a day. Looping in yourself will prevent you from growing. The result is that the business owns the owner, not the other way round. Should you stop for a second or go on a vacation, your business will stop too. Make this pause last a bit longer, and you won’t be able to reanimate your business. Delegate. You can find a lot of advice on successful delegating on resources like Forbes and Inc.
Outsource. 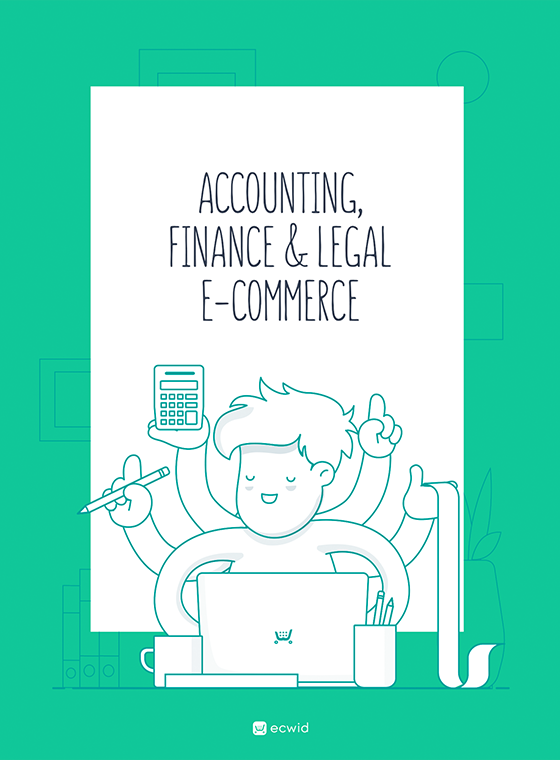 For example, use accounting services, drop shipping, and fulfillment. Automate your work with tools and apps. There are a lot of such tools for posting on Instagram, photo editing, and your Ecwid store. Automated work can be easily delegated to an employee. Together with physiological reasons, finance mistakes threaten businesses continuously. Illiterate accounting and the absence of analytics can result in a small marketing budget, a lack of money for inventory, and more. Finally, it may lead straight to bankruptcy. Knowing these terms, you will be able to notice negative tendencies and act quickly. To keep both feet on the ground, get a free accounting blueprint and a PDF collection of the best articles from the Ecwid blog on accounting and finance. Slow loading and site operation, poor-quality content, an inconvenient shopping cart, a lack of integrations with payment systems — all this can scare away your buyers. As the number of online stores grows, competition grows too, and, as a result, minimum requirements for an e-commerce store in general. It’s not enough to just be in the market; you need to keep up with the trends, develop, and become a convenient store for your ultimate buyer. Otherwise, it might be a failure. Order web development from a trusted agency and let them host you. When your business grows, you can even start your own IT department. Experienced developers will keep an eye on your website, fix it, and enhance it with new features. Create an online store with a modern e-commerce platform. It’s a good idea to choose one with a monthly fee because that means the team is constantly working on the product and it’s important for them to make you stay. You will get help with setting up and managing your store from an experienced customer care team. If you don’t plan to invest a lot of money at the start, consider the second option: an Ecwid store. It meets modern requirements and has a lot of integrated tools and apps, and you can add it to your website or social page very easily. When large suppliers begin to struggle for the influence in the market, smaller companies may suffer. For example, the supplier is dumping to capture market share. In response, the competitor company lowers the price, working to zero or at a loss, just to stay in the market. Having a large gross turnover, such companies can hold out for a certain time. Small businesses can not afford this and may be forced to close. You need to quickly navigate and pick up products from other manufacturers and/or expand the range of products with similar themes with greater margins. Over time, the market situation may stabilize. Otherwise, you’ll have to head to other manufacturers or even change your niche. If it’s not suppliers who are dumping, but your competitors, you can even win a price war with these tactics. At any moment, something unforeseen can happen. The world economy is not stable enough; there are more and more crises. Also, some new requirements and laws may appear. For example, in Russia in 2014, advertising weapons was forbidden in the popular marketplace Avito. It hurt many businesses in this niche. A lot of online stores had to close. You can not influence such situations, but you can adapt quickly. You should always be ready and keep in mind every possible change in the market. This way, in case of a complete failure, you’ll be able to start a new business. Make a list of force majeures and think of possible ways out, just as a training. In my experience, these are the most frequent reasons for failure. If you had an unlucky business experience, or you can still overcome the problems and avoid closing the store, please share your story in the comments. Ivan Budnik is an expert and practitioner in the field of e-commerce. For 6 years, he has created several online stores in the industry. One of his successful projects is a Russian store, vasharbalet.ru. Now he heads the department of internet projects at Toy.ru. His hobbies are Photoshop and perfumery.